Dear Readers, I did something this week that I’ve been afraid to do. No, I didn’t jump from an airplane into the sky, nor did I ask for a raise, pet a python, or get on the scale. 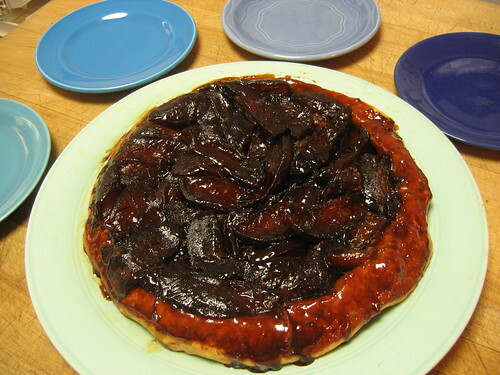 What I did was…drum roll…make a tarte tatin. The quintessential French apple pie, tarte tatin has always seemed daunting to me. While I’m fairly comfortable with a number of other complex cooking operations, I can explain my concern regarding this delicacy in one word: unmolding. The process involves caramelizing apples and then covering them with pastry dough. The whole concoction is baked and then – after removing it from the oven – is flipped so that the crust lies on the bottom and the apples nestle cozily together on top. The photographs in cookbooks present a glossy, burnished version of an upside-down pie. But I’ve always had a sneaking suspicion that it wasn’t going to be quite as easy as all that. Well, making a tarte tatin wasn’t easy at all, if you want to know the truth. But the unmolding part was really the least of my concerns. A minor problem involved trying to preserve enough apples when a child was gobbling up the pieces as fast as I could slice them. A major problem involved slightly burnt caramel. If you’ve ever made caramel you’ll know that you have to work quick like a bunny once it all starts to brown. You stir the sugar and the butter over and over without anything happening and then, finally, it begins to sizzle. Soon your pan is filled with pale brown lava and then, presto! before you know it, it’s done. Or, in this case, maybe a bit too done. I had a suspicion that was the case but I didn’t want to admit it and I didn’t want to burn my tongue by tasting it and I certainly didn’t want to start over, so I plopped in the apples – Splatter! Ouch! – and continued on with the recipe. Everything else worked beautifully so I kept trying to convince myself that it was just very dark caramel. I even managed to unmold the thing without losing a single apple and it looked quite handsome as it perched upon the platter – handsome in a swarthy sort of way. Unfortunately, one of the children declared it “interesting.” The other called it “bitter.” That is to say, they both thought it sucked. I didn’t think it was that bad: the pastry was tender and flaky and the apples were juicy and it did hold together very nicely. My tarte tatin certainly wasn’t a candidate for this, the Burnt Food Museum (Burnt Food Museum), although it did taste a tiny bit...scorched. On the bright side, there exists a whole category of people for whom “burnt food” is not a detraction. Apparently, these eaters actually appreciate the unique qualities of carbon-enriched cooking. And fortunately for the Queen, the King is one of them. Peel apples, core and cut each apple into 8 slices. Put in bowl with lemon juice and rind and ½ c. sugar. Allow to steep for about 20 minutes, until apples have rendered some of their juices. Drain apples, discarding juice. To make the caramel, heat a frying pan (a 9-inch cast iron pan works well) over medium high heat with the butter. Stir until the sugar melts and a syrup forms. Careful! It will be molten hot. 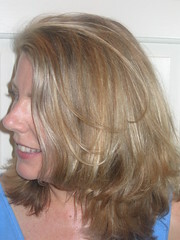 When light-medium brown, remove pan from the heat. Arrange apple slices in circular pattern on bottom of pan. Place the rest of the apples on the top, packing them to fit pan. Put pan back on heat, pressing apples down as they soften and cook. Use a baster to coat the apples with the juices. 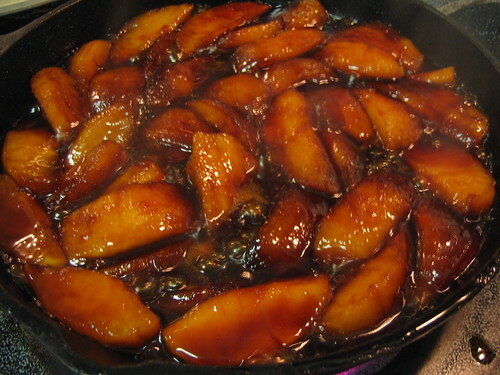 When apples begin to soften, cover pan and cook 10-15 minutes, until juices are thick and syrupy. Take pan off heat and allow to cool slightly. Preheat oven to 425. Roll dough into circle that’s about 1 inch larger than pan. Cut four steam holes into center. Fold dough in half, then again to make a quarter and position it atop apples in pan. Unfold and press overhang down into pan. Bake for approximately 20 minutes, until pastry is brown and lightly crisped. Place a serving plate on top of pan and then – carefully! – flip the pan and plate to unmold the tart. Rearrange slices as necessary. Serve hot or warm or cold with ice cream. Bravo for the attempt & I hope the princes' reactions don't dissuade you from another effort at it when some ladies in waiting from our nation's capitol are eager to assist. Tarte tatin is truly the only pie I have actually dreamed of...It looked fabu! hope the royal pooch is healing well & will soon be back to stealing pie & chewing shoes.